Now that Priyanka Chopra is back to India, Indian filmmakers are surely going to rope in the Hollywood return actress for upcoming projects. The actress was seen visiting filmmaker Sanjay Leela Bhansali’s office in Mumbai on April 27, 2017. With the recent visit, there are chances of an upcoming project with Bhansali. Priyanka and Bhansali have earlier teamed up for the blockbuster flick Bajirao Mastani which also starred Deepika Padukone and Ranveer Singh. Meanwhile, filmmaker Priya Mishra has confirmed that Priyanka has given her nod for the Kalpana Chawla biopic. However, Priyanka has maintained her silence over the biopic to be directed by Mishra. No official confirmations have been made so far. Priyanka has earlier worked on biopic of the Olympic boxer Mary Kom. It will be a treat for the audience to watch Priyanka playing the Indian astronaut Kalpana Chawla, who lost her life along with six other crew members when the space shuttle Columbia exploded during its return from space in 2003. 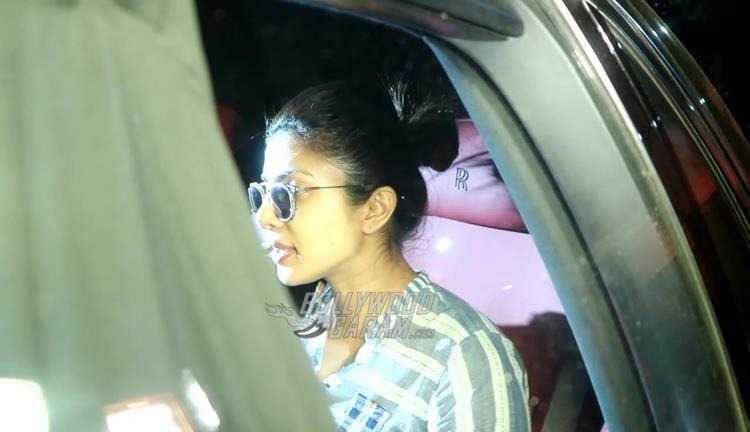 Priyanka Chopra, during her visit to Sanjay Leela Bhansali’s office, was seen in a striped shirt and denims. She has just returned from the United States after staying there for a year to shoot for the drama series, Quantico. While in Hollywood, she walked red carpets, presented awards and rubbed shoulders with some of the most famous international faces. Priyanka’s next movie is going to be Baywatch which releases this summer and also stars Dwayne Johnson and Zac Efron. Next articleBaahubali 2 morning shows cancelled in Tamil Nadu - Here's why!